The Taliban tried to overrun a provincial capital in Afghanistan, hiding inside homes before slipping into city streets in the night to attack security forces, and killing at least 14 policemen before being pushed back, officials say. 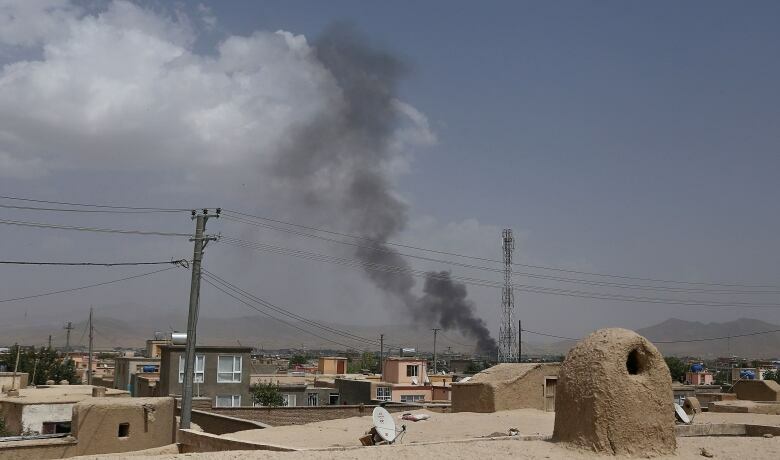 The overnight attack in the southeastern city of Ghazni, the capital of a province with the same name, also wounded at least 20 members of the security forces, said Baz Mohammad Hemat, administrator of the Ghazni city hospital. The city was in lockdown and fighting continued throughout the day Friday, with sporadic bursts of gunfire from Taliban fighters who had hunkered down in elevated positions inside Ghazni from which they were shooting, some residents said, speaking on condition of anonymity for fear for their safety. An Afghan military helicopter crash landed in the city during the daytime fighting and four Afghan soldiers on board were injured, one critically, said Mohammad Radmanish, spokesperson for the Ministry of Defence. The Taliban claimed it had downed the "enemy" helicopter in Ghazni, but Radmanish said it was not immediately clear if the helicopter had been hit or crash landed due to other reasons. Elsewhere in Afghanistan, a Taliban attack Thursday night in western Herat province left six policemen dead in the district of Obe, said the governor's spokesperson there, Gelani Farhad. The brazen assaults by the Taliban, which has been gaining more ground in its annual spring offensive and has shrugged off the government's latest offers of a ceasefire and negotiations, underscore the difficulties Afghan forces face in battling the relentless insurgency on their own in efforts to end the nearly 17-year war. 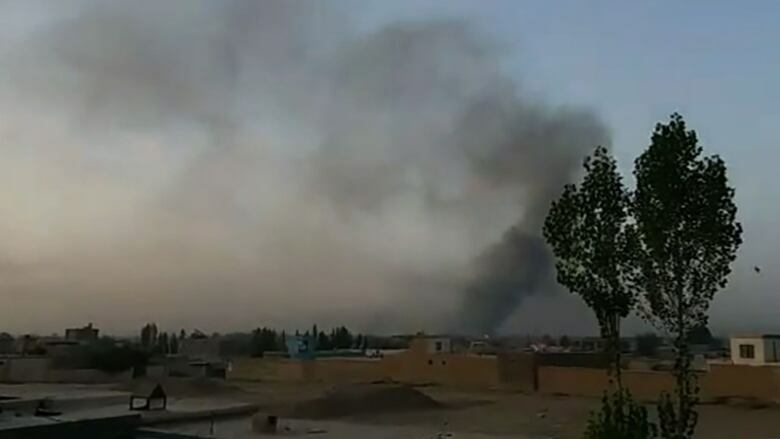 The Ghazni attack began around 2 a.m. with intense gunbattles raging and fires burning in several shops in the city's residential areas, provincial police Chief Farid Ahmad Mashal told The Associated Press. After fending off the first assault, police conducted house-to-house searches for remaining Taliban fighters. Also, an investigation was underway to determine how the insurgents managed to infiltrate so deep into the city, barely 120 kilometres south of the Afghan capital of Kabul. Hemat said two wounded civilians were brought to the hospital. He was worried more wounded could be out there as the city was shut down and ambulances were not being sent out. Several bodies of dead Taliban fighters remained on the streets of Ghazni, the police chief said. In one location, bodies of 39 Taliban fighters were recovered from under a bridge on the southern edge of the city. Airstrikes called in to quash the offensive also killed dozens of Taliban, Mashal said. Lt.-Col. Martin O'Donnell, a spokesperson for U.S. forces in Afghanistan, said American forces and U.S. attack helicopters had assisted Afghan troops in pushing back the Taliban during the night's multiple attacks in Ghazni. "U.S. forces responded with close-air support and conducted one drone strike." By midday Friday, O'Donnell said fighting continued inside Ghazni, prompting the U.S. forces to return American attack helicopters and fighter jets to the area after they were initially pulled back. Taliban spokesperson Zabihullah Mujahid claimed that parts of Ghazni had been seized and that Taliban fighters had killed scores of people. He also told the AP over the phone that Taliban anti-aircraft fire downed the Afghan army helicopter.